Some IT services firms in Orange County are going to offer a lot of security solutions that you can use to avoid being undermined by cybercriminals. For many businesses, working with a Managed Security Service Provider (MSSP) makes more sense than going simply with an MSP. This is because an MSSP has a prerogative at their operational core which requires providing the latest security solutions. 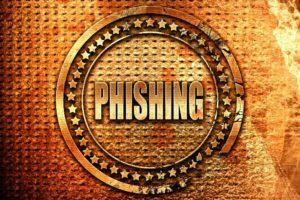 A phishing scam is likely to originate in a foreign country and be targeted at regions of commerce in nations with greater economies than those of the cybercriminals. Someone sending an email in Sudan may not get to their computer until the middle of the night. So, if you get a suspicious email sent at an odd time, it could be a phishing scam. Accompanying strange hours of transmission, you’ll find that bad grammar and poor spelling often characterize phishing scams. IT services providers in Orange County also advise users to be suspicious of greetings which have a generic, “spammy” quality to them. If such an email is beset with links you must click in order to respond to some urgent request for money, then you’ve likely encountered a phishing scam. Finally, if the name on the bottom of the email doesn’t match the sender’s email address, that’s a pretty big red flag. Email addresses themselves can be indicative, as false ones will either change the email they’re using in a subtle way or have a bunch of strange letters making up the name. Cyber security in Orange County is tantamount to sustainable operations over time. With technology, it’s not a matter of “if” you get compromised, but “when”. Contact us for more information and to best secure your operations.